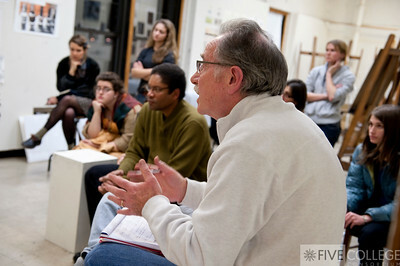 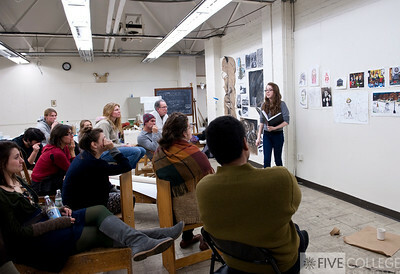 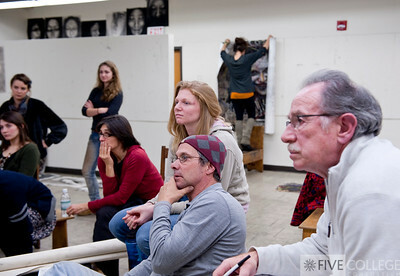 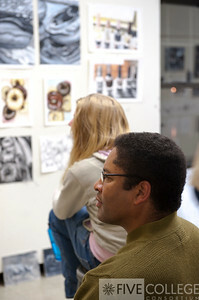 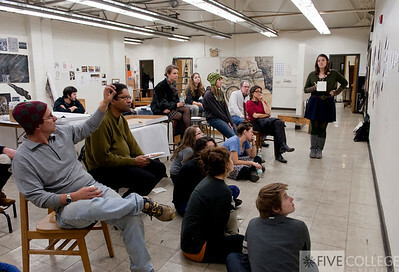 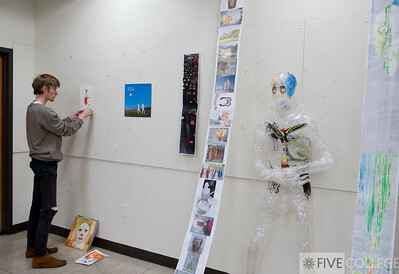 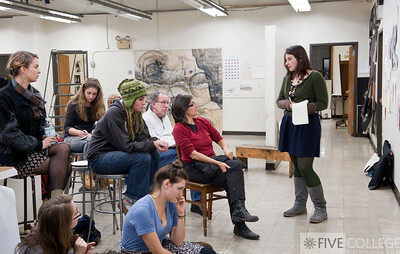 Dave Gloman of Amherst in center and others watch art student presentation. 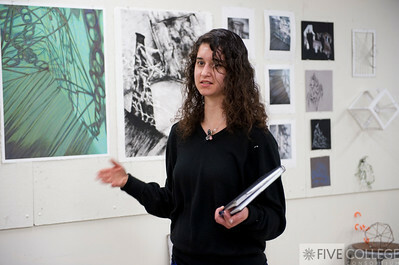 Professor Paola Ferrario of Smith points as she is commenting. 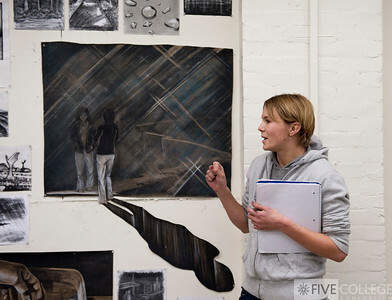 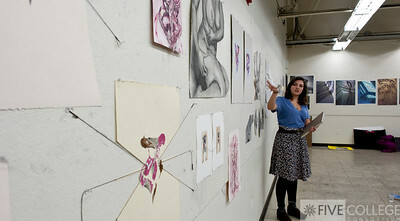 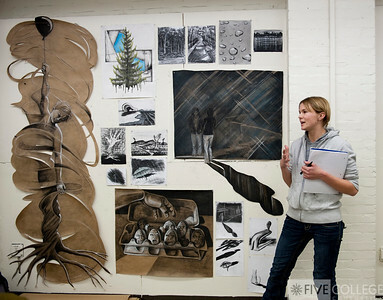 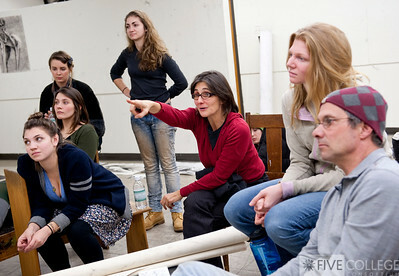 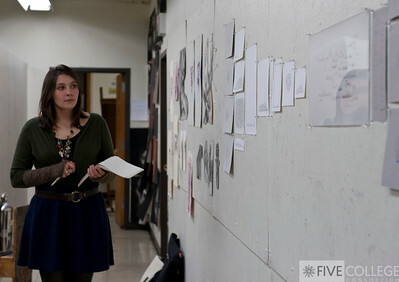 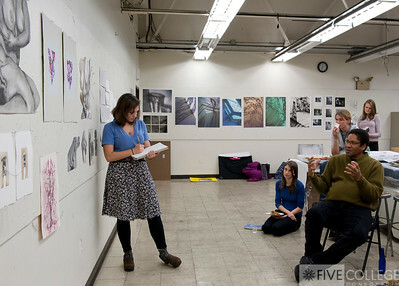 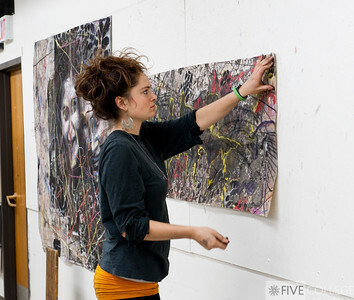 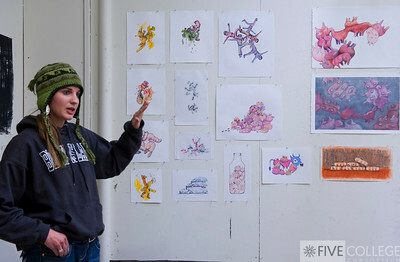 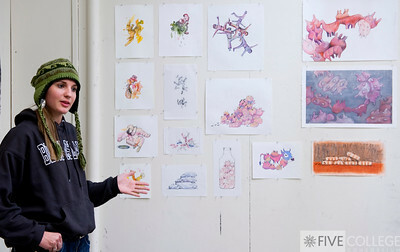 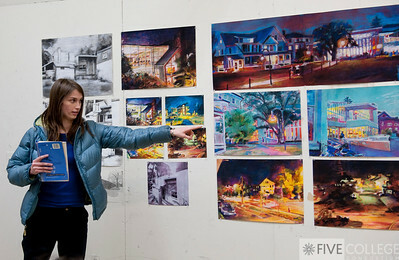 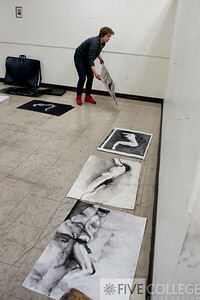 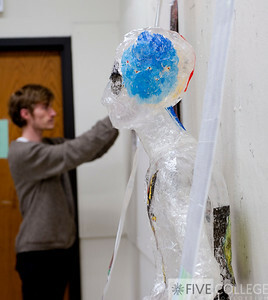 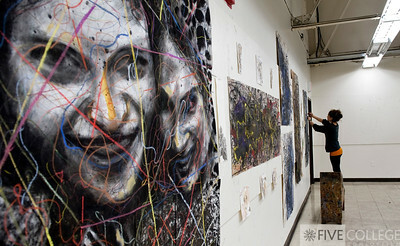 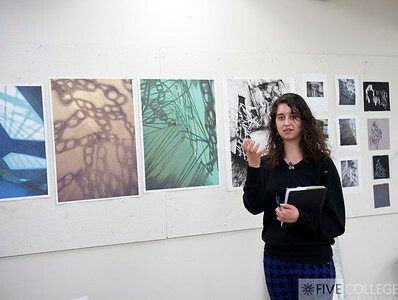 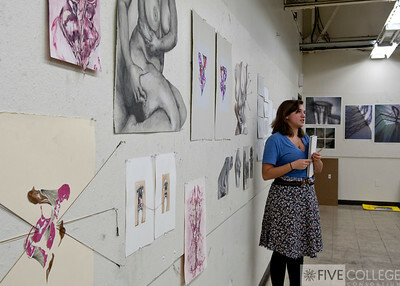 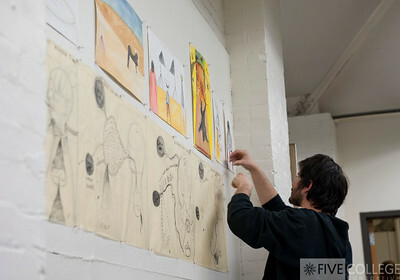 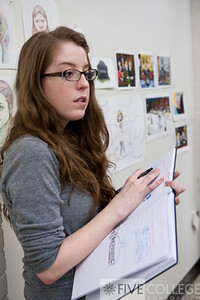 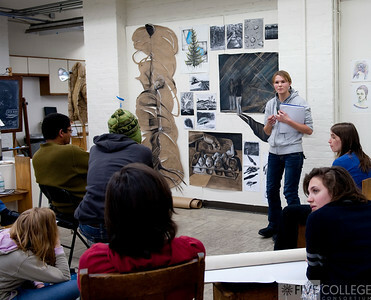 Sarah Coates, Mount Holyoke College, arranges her work before hanging.